Please fill out the form with information about your wedding, portrait, or event photography needs. We'll do our best to help you out! Your request will be forwarded to our list of talent and we'll get back to you with the photographers who are available! Date and Location (if known)? Please tell us more about your photography needs! Photographers of Portland is a collaboration of professional women photographers in the Portland, Oregon area who have committed to great teamwork and a set of high standards for the wedding and portrait industry. Since 2009, the members of our group have helped each other to build strong businesses and an even better community, placing value on mentorship, teaching and learning, inspiration, and respect. Each photographer has their own style and areas of focus, but we all share a love for amazing photography with a human connection. This site was created as a resource to find quality Portland photographers for weddings, portraits, boudoir, maternity, newborns, families, high school seniors, pets, and more! You can contact individual photographers from our profiles or fill out the contact form to inquire about availability from the group — we'd love to hear from you! "Amazing Photography with a Human Connection"
I am not seeing the same thing you are. On Monday morning, everyone in Oregon will experience a solar eclipse. For about a third of the state, for varying amounts of time, it will reach totality. Understandably, the focus for many of us is on the sun and the moon. After all, the moon crossing between the Earth and the sun is what creates our experience of an eclipse! But even though we will all watch the same cosmic event, we will all watch it from our own unique perspective. And that is what’s really interesting about this event. Learn how to safely document this experience and capture truly meaningful images – even using only your smartphone – today in Serravision Photography‘s article: Am I the only one seeing this? 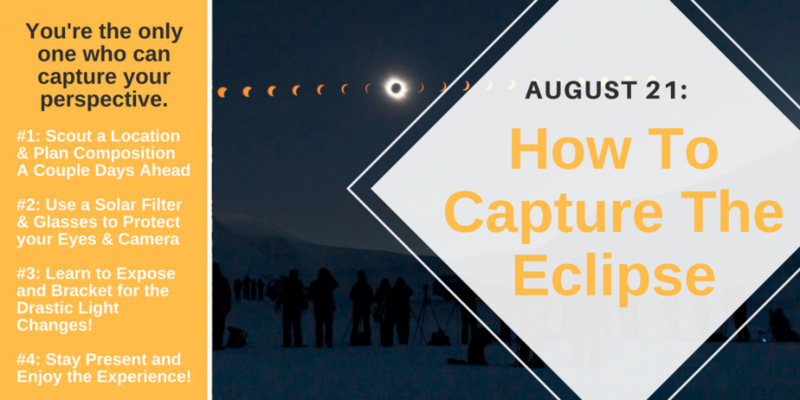 – How to photograph the eclipse. We hope you’ll share your story in pictures! Serravision Photography works with families to create custom storybooks featuring their life and their words. My formal training is as a documentary filmmaker. I am a storyteller who uses photography as my tool. I love making client’s stories come to life, and I make it happen with minimal effort on your part. It’s a bit like magic! If you place a high value on your family, and on creating a sense of unity and belonging for yourself and your children, you will love this unique way of looking at lifestyle photography.